Kyadondo East MP Robert Kyagulanyi, aka Bobi Wine with Asuman Basalirwa in Bugiri on Wednesday. 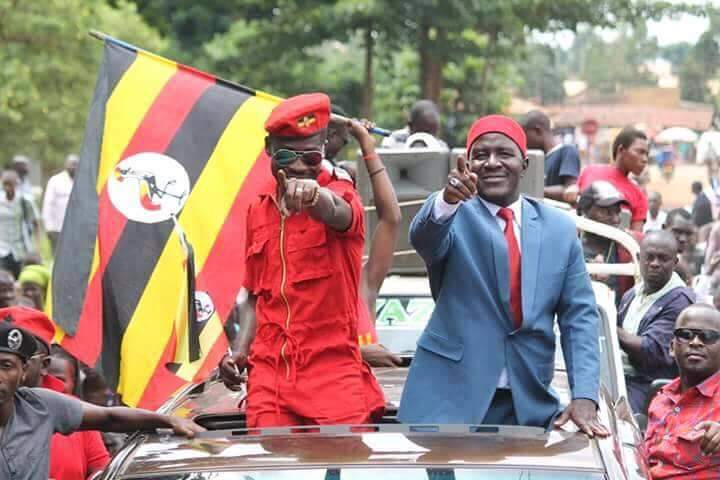 BUGIRI: Kyaddondo East MP Robert Kyagulanyi Ssentamu is adamant he has picked the right choice by breaking ranks with the Forum for Democratic Change and Dr. Kizza Besigye to support JEEMA’s Asuman Basalirwa in the Bugiri Municipality polls slated for July 10. “Some people will be shocked to learn that I did not know Asuman closely before”. He added: “But anyone who has been following the politics of our country knows what counsel Basalirwa’s contribution has been to this struggle and what he is capable of. Right from the time he was Guild President at Makerere, Basalirwa has been on the side of Uganda,” the MP wrote. Mr Kyagulanyi added that Basalirwa has been arrested and jailed countless times fighting against injustice. 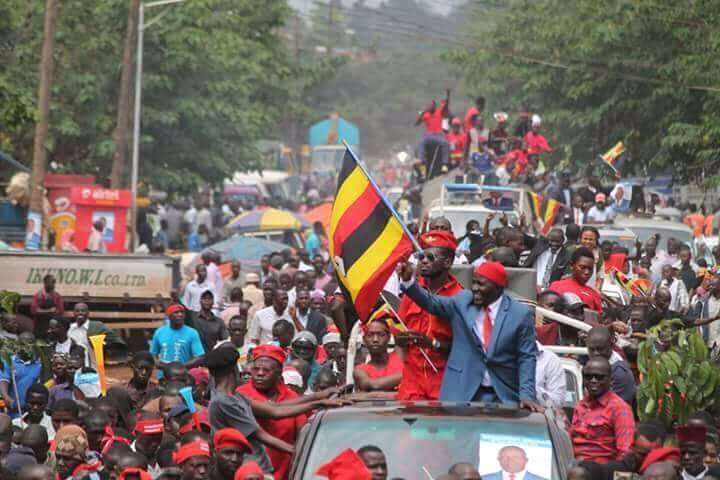 “We have seen him crisscross courts of law- from the lowest to the highest, defending opposition leaders, representing activists and arguing the case for good governance and human rights for all,” Mr Kyagulanyi said, concluding Basalirwa was the right candidate for the job and that the Opposition needed to show desire for unity even when faced with the most difficult of choices. The Opposition FDC and JEEMA have failed to reach consensus on a single candidate for the July 10 polls leading to bickering among many opposition figures with the FDC choosing to back the party candidate Eunice Namatembe. In 2016, Mr Basalirwa, vied for the Bukhooli North parliamentary seat but lost. 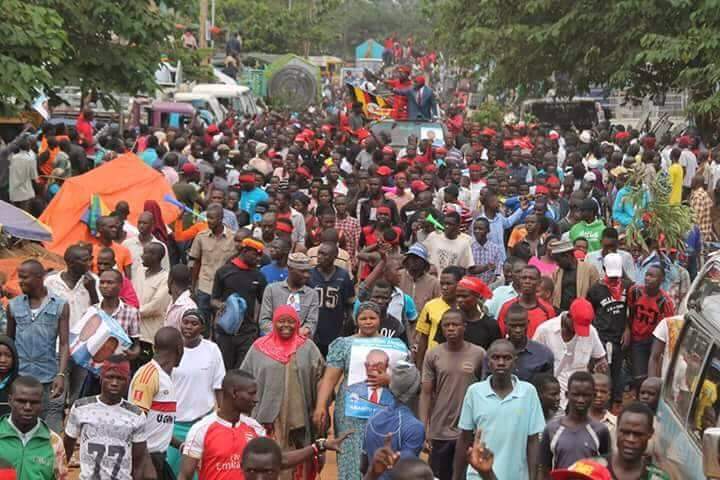 However, he had garnered the highest number of votes in Bugiri Municipality which has been carved off Bukhooli North, which gives him a big chance. WHY AM I ENDORSING COUNSEL ASUMAN BASALIRWA? A few people have been asking me why I decided to endorse Counsel Asuman Basalirwa in the upcoming Bugiri Municipality MP elections. Let me use this opportunity to explain why. And so, just like we did in the recent elections in Jinja and Rukungiri, I had hoped that we would all unite behind one candidate in Bugiri Municipality because we have seen it work elsewhere. This is because my belief is that the every first step towards emancipating our nation is UNITY. Surprisingly the citizens seem to be ahead of us leaders, in understanding this simple fact. Wherever I have gone, people have been clear that they want to see a united team fighting for them. Therefore, that was our initial prayer and effort with regard to the Bugiri election. Unfortunately for some reason it failed.